Hang on to your hat! 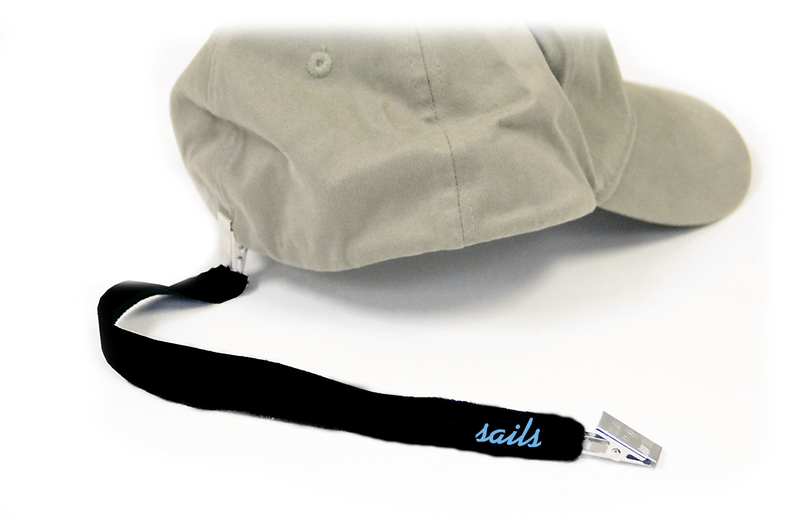 Our neoprene hat clip helps hats stay put. Neoprene material has a bull dog clip at each end for quick and easy attach/detach. ITEM NCP1 - 1 PMS color screen print in 1 location. ITEM NCP2 - Full color sublimation. Choice of 1 neoprene stock color: black, blue, light blue, red, green, light green, orange and white. Size is 11-1/2" x 5/8" with and imprint area of 6" x 1/2". 50.00 (G) sample charge plus set-up charges. Sample charge is refunded with order placed. 3 weeks from artwork or pre-pro sample approval.